The Original European made Le Corbusier armchair deftly blends European furniture workmanship with the beauty of a burgeoning modernism. 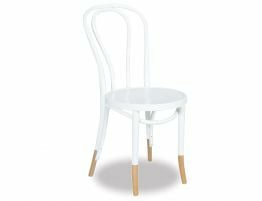 Clean and simple, this Thonet designed dining chair was a favorite with designer and architect Le Corbusier, hence its namesake. 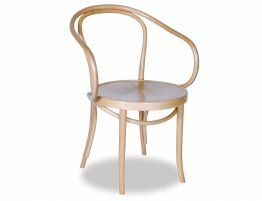 Bentwood furniture has been and continues to be a staple of good design everywhere. 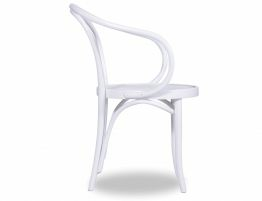 Our Cava armchair is offered here in a natural tone with a subtly embossed sunset seat pattern. 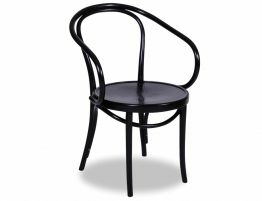 The B9 Bentwood Cava Armchair continues to be one of the most recognisable pieces of designer furniture. 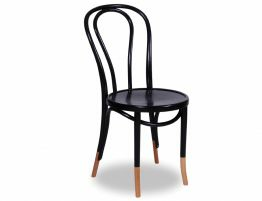 Now over a century old, this stylish bentwood dining chair has had a surge in renewed popularity. Why might you ask? 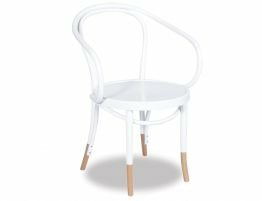 Well, this dining chair is light but substantial, pretty without being fussy and an impeccably crafted wood chair destined to last long enough to see another zenith. 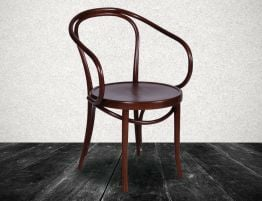 Show off your eye for quality with this handsome bentwood armchair.